2017 was a terrific year for the equity markets. The S&P 500 index was up more than 20%. International equities out performed domestic equities for the full year which was the first time since the great panic of 2008-2009. You would expect that such a strong performance across the board would have people asking about equities. Should I own more? Should I rebalance? Do you think there is more room to the upside? But what many people were asking about was Bitcoin. 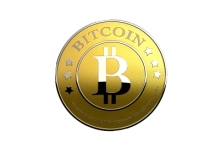 Bitcoin is one of a number of cryptocurrencies that can be used for anonymous purchases online from a number of sources. It was first introduced in 2008 by a group of programmers going under the name of Satoshi Nakamoto. Today, many large companies are accepting bitcoins as a legitimate source of funds. Overstock.com was the first big online retailer to start accepting bitcoins in January of 2014. Even if you cannot spend bitcoins at your favorite website or offline store, you can use them to purchase gift cards for places that don’t directly accept bitcoins. There are some who believe cryptocurrencies are the future of the currency world. Cryptocurrencies do not need to go through banks or clearing houses which keep fees low. They can be accepted as payment in nearly any country around the world and accounts cannot be frozen. Currency exchanges have been set up where users can trade cryptocurrencies for US dollars, Euros, and several other currencies. Contrary to what you may have read, cryptocurrencies are not really money. They are lines of computer code that hold monetary value. Some government entity controls the supply of money. The supply of cryptocurrencies is controlled through a process known as “mining.” Miners create the digital currency through mathematical computations. There is nothing physical to hold like dollars or euros. Cryptography controls the creation of new coins which is the term used to describe specific amounts of code. Bitcoin was the first cryptocurrency ever invented. The success of the bitcoin sparked the creation of a number of rivals. All cryptocurrencies created since then are called Altcoins, or alternative coins. Some of the popular rivals are Litecoin, Peercoin, Feathercoin, Ethereum and many others. Is it a Smart Investment? Cryptocurrency is not my area of expertise, but I do know a lot about investing. From the viewpoint of an investment, Bitcoin has no fundamentals. There are no earnings. It doesn’t produce anything. It’s hard for me to imagine that a line of computer code has any value except in the mind of the buyer or seller. The same thing could be said for any currency. There were many people who thought the US dollar would crash when President Nixon abandoned the gold standard in the 1970s. The gold standard required the US to directly link the value of the dollar to an ounce of gold. The value of the US dollar didn’t crash when the gold standard was abandoned, but it is backed by the US government and a medium of exchange. There are no governments standing behind the value of Bitcoin. Bitcoin is neither a legitimate form of currency nor an investment. This is not to say it doesn’t have value. People were willing to pay more than $16,000 for a Bitcoin at the beginning of 2017. The value of anything is based on what someone is willing to pay for it. What are the Risks Associated with Bitcoin? I would characterize Bitcoin as a speculation, not an investment. As a speculative medium, Bitcoin was an undisputed success in 2017. Prices rose from about $1,000 at the beginning of 2017 to over $16,000. The huge price increase attracted the public’s attention as well as investors and speculators. Anyone looking to profit from strong volatility may find Bitcoin trading offers plenty of excitement. Be forewarned, trading in Bitcoins is extremely risky. Bitcoin has already had three crashes exceeding 85% since 2010. The exchanges on which Bitcoins trade are largely unregulated. As a medium of exchange, Bitcoin has other serious shortcomings and is a long way from replacing any currency. The price volatility which makes Bitcoin so attractive to speculators may turn out to be its undoing as a currency substitute. Price stability is needed to be able to price goods and services using any currency. How can any company price its goods or services in bitcoins with this kind of volatility? Ownership of equities is an investment. It represents a share of a company. Companies are constantly looking for ways to improve themselves. They develop new products and services, search for ways to make their current products more affordable, and look for ways to reduce costs and maintain profitability. Not all companies improve, but when they do their stock price often increases. Bitcoin does none of these things. The price moves with supply and demand. Ownership of Bitcoin is a price speculation. I’m not trying to predict the price of Bitcoin in 2018, nor am I saying the recent spike in the price of the cryptocurrency is a bubble. What I am saying is that it doesn’t really have a place in a retirement portfolio. If you are buying Bitcoins today, you are speculating on price and probably participating in the latest investment fad. Warren Buffet said, “A simple rule dictates my buying: Be fearful when others are greedy, and be greedy when others are fearful.” Today, those chasing Bitcoins should be fearful. Bitcoin is one of a number of cryptocurrencies that may be accepted as payment in countries around the world. There are no governments standing behind the value of Bitcoin. Ownership of Bitcoin is a price speculation.